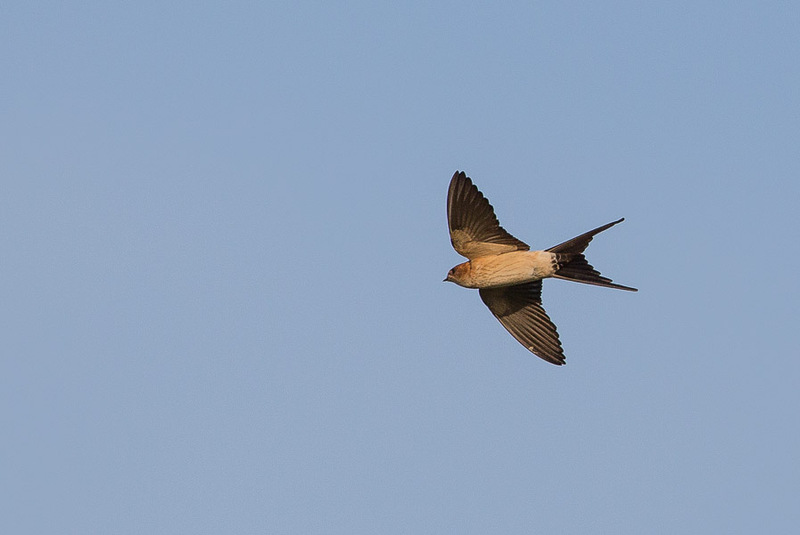 Red-rumped Swallow is common annually in the Eastern Province of Saudi Arabia in February and March and is one of the earlier migrants. 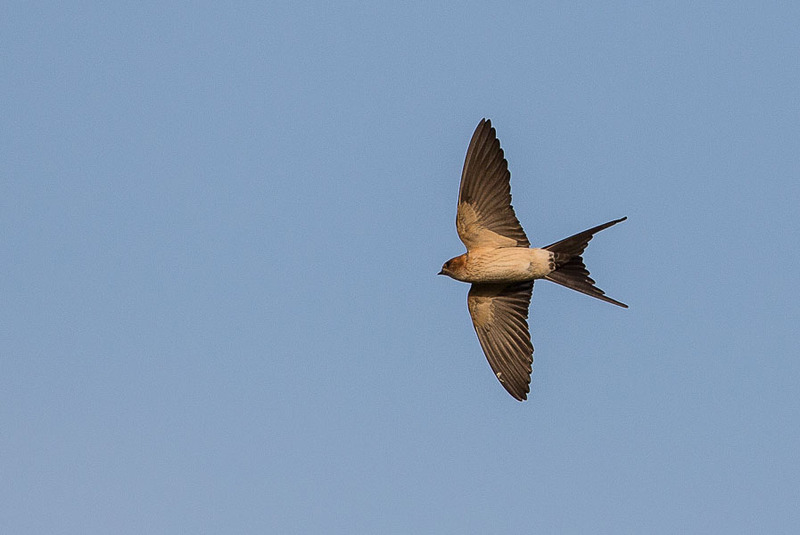 Birds often travel with other hirundines such as Barn Swallow or House Martins and can number up to 100 birds. The last week or so small numbers have been seen over the spray fields and percolation pond with some birds giving good views and allowing photography. It is very difficult to try to work out how many birds have been involved in passing through as it is difficult to know if they have moved off or completely or just away from my ‘patch’ and return again the following evening? Trying to photograph the birds is also far from easy with a large and heavy 600mm lens but some acceptable shots were eventually taken. 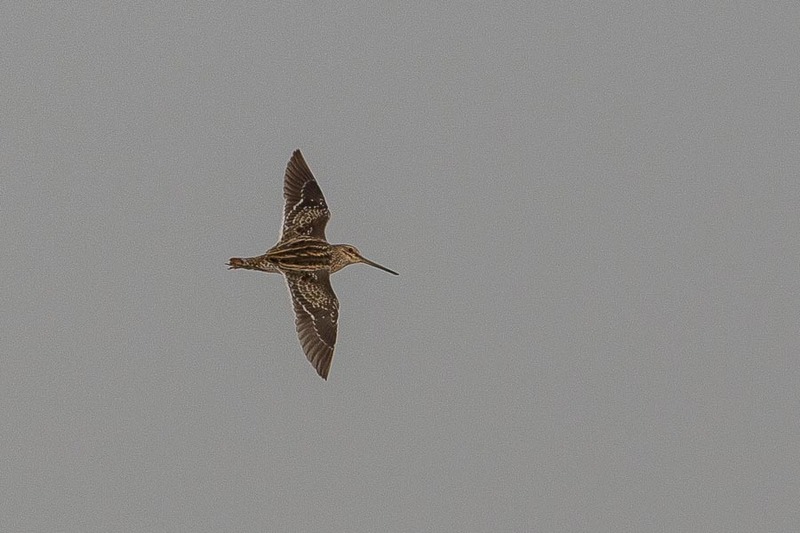 The streaks on the underparts can be seen in some of the photos which are very difficult to see on the birds in flight through binoculars. 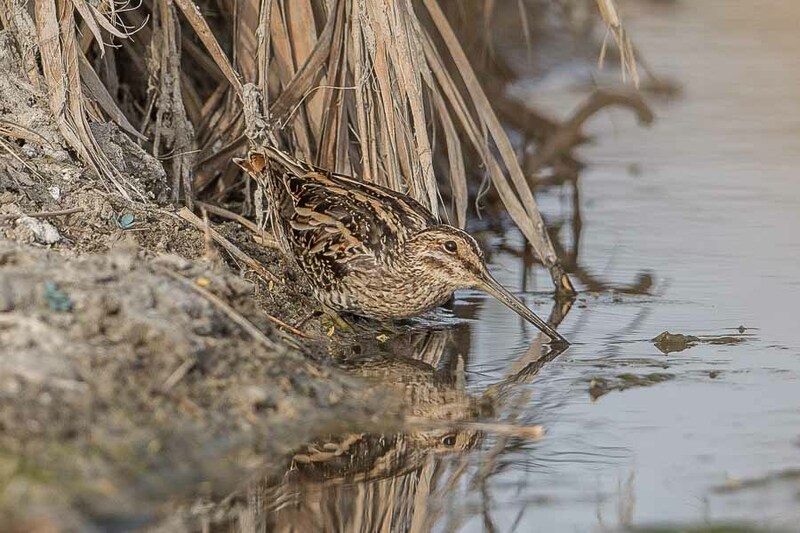 Other birds seen included the Great Crested Grebe back on the percolation pond after an absence of a few weeks, a Common Snipe and a Grey Wagtail in the wet ditch and a Woodchat Shrike in the spray fields.